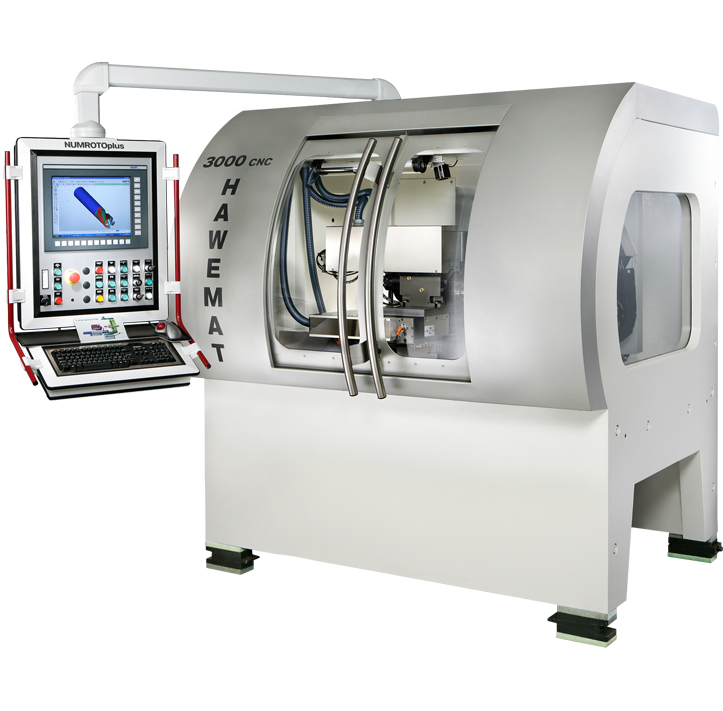 The Hawemat 3000 CNC is the first full mineral compound base concept with integrated cabin in the field of grinding technology. This provides the fundamental basis for a broad range of applications, particularly in the manufacture of high-precision tools and other special components. The double bearing of the grinding column (Y- and B-axis) has made it possible to achieve a maximum of rigidity. 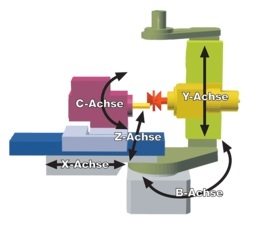 This guarantees a very high degree of precision throughout the entire rotational movement of the Y-axis in conjunction with the grinding spindle.